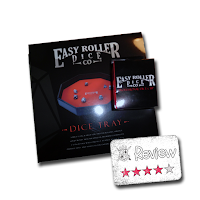 Frugal GM Review: Dice Tray and Dice Cup from Easy Roller Dice Co. 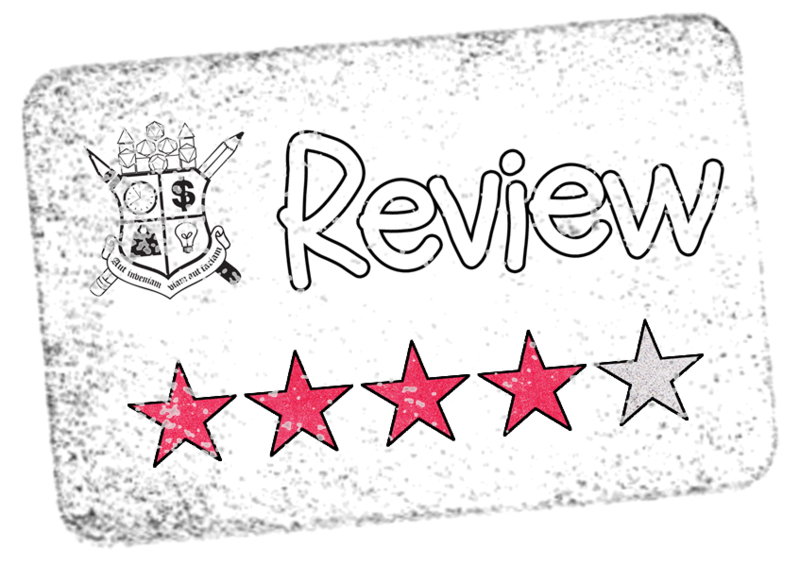 This week's Frugal GM review is a bit of a twofer because I'm reviewing two separate products that just seem like they belong together. I'm still working on the small treasure trove of review material I received from Easy Roller Dice Co. The other item is the Dice Tray, which is only available on Amazon right now. I'm told they put up new items on Amazon to see how they are received before stocking their own website. Neither of these items are something the average gamer "needs", but I'm willing to bet there are quite a few occasions that they come in damned useful. You know that guy (there is always "that guy" somewhere in everybody's history) who likes to palm the dice to tweak a result or is always rolling their dice and if they get a good result, no matter where it lands, they try to pass it off as their next result? Using a dice cup and a DRZ (designated rolling zone) can cut down on a lot of problems. Personally I probably wouldn't use the dice cup outside of playing Yahtzee, but I've bee using a DRZ for years now. I made mine and although I think it is pretty cool, it really doesn't stack up against the Easy Roller Dice Co. Dice Tray. This octagonal dice tray is about 12 inches across (11.5" across the flat sides and 12" corner to corner) and wrapped in imitation leather. It is sturdy but still has a little give of you rough-handle the sides. The red velvet rolling surface is lightly padded and where this definitely beats my multiple attempts at making my own rolling tray. It is kind of hard to explain, but I'll give it a go. It is easy enough to slap a piece of leather down in a box and call it good, which is basically what I did with my personal DRZ. Just about anything between the table and your dice will help reduce the sound, but you really want something with a little give. The velvet padded bottom on the Easy Roller tray absorbs the dice impact, but doesn't "grab" your dice, like my leather does. I doubt I'd be able to have this happen using the new tray. Yep...that is one of my d4's landing on the "point". The Easy Dice tray initially looks a bit large for personal use, but I'm already taking up more space with my current DRZ and the stockpile of dice. 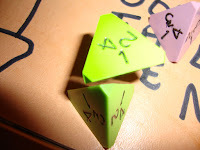 When I simply kept my game dice around the edges of the tray and rolled in the center I thought I had more room in front of me than I did before. Now I've only seen a small handful of dice trays online & in-person at gaming conventions and all of them were a lot more expensive and most of them, I felt (no pun intended) were too hard-bottomed, with only a thin piece of felt between the dice and the wood. All they did was keep your die rolls contained....most of the time. The dice cup feels as well built as the dice tray, but the velvet lining is blue. I kind of wish it was red as well. The bottom feels padded a bit on the outside, but the inside all around is a bit hard. Overall the cup is sturdier than I expected. It is an attractive cup and easier to use if you have more than three or four dice to roll. I wish I had one of these back in my HackMaster 4th Edition days because I sometimes had to roll a lot of dice! The price is around the middle of the pack for dice cups I've seen so far. The cheaper end of the spectrum on these things is, well...cheap. The high-end of dice cups are fancy, hand-stitched custom jobs that are quite expensive. I do think that the stitching on the Easy Roller Dice Co. cup is a lot better than those around its price range. The cup also came with five d6's, which really wasn't a big deal to me. 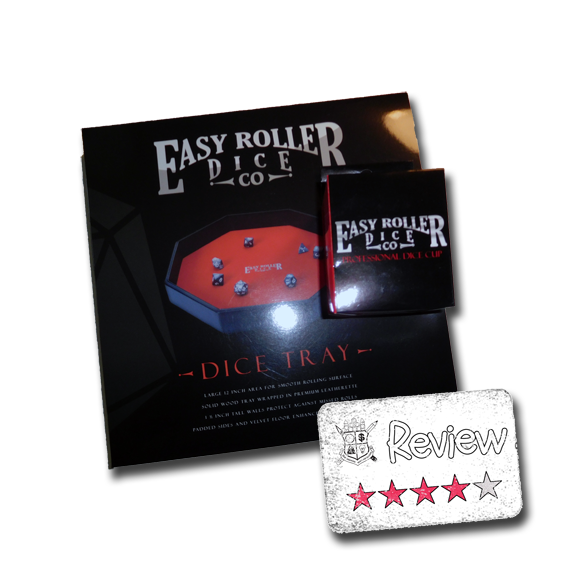 Overall I liked both the Easy Roller Dice Co. dice tray and dice cup. I thought it peculiar that the cup was a buck cheaper on Amazon, but where I'd go to buy it would really be determined on what else I was picking up. You'd have to spend about $50 at either webstore to qualify for free shipping, so the determining factor would be what else I wanted to purchase. The quality of both items is quite good and I don't think you'll be disappointed in either item.